Vancouver Farmers Markets (otherwise known as Your Local Farmers Market Society) is about people who love fresh food at festive gatherings. With the initial goal in 1995 to create the fun and value of weekly Farmers Markets in urban settings, the Society and the Markets have become Vancouver plazas of fun, discovery, and connecting. The good feeling of the Markets gets even deeper. The organizers produce weekly Markets to create healthy food networks that sustain our land, our community, and our homes. When you shop at Vancouver Farmers Markets, you help keep BC farmers farming. A list of the markets around Vancouver can be found at www.eatlocal.org/markets.html. 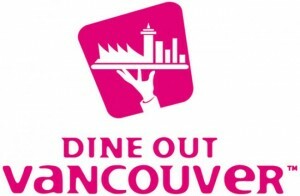 Dine Out Vancouver Is Here Again! Dine Out Vancouver is Canada’s largest restaurant festival and the perfect opportunity to try out new restaurants. Participating restaurants offer a three course menu at a discounted price of either $18, $28 or $38. With over 200 participating restaurants to choose from you’ll be sure to find one that catches your attention. Known for fresh seafood and a beautiful view, The Boathouse is the perfect place to take a date or have a dinner with close friends. The Boathouse offers a delicious three course menu to choose from for only $28. To make a reservation call 604-669-2225. Hapa Izakaya offers a variety of Japanese tapas to choose from that will delight anyone’s taste palate. Their $28 three course menu offers meat, seafood and vegetarian options. Hapa Izakaya offers a fun upbeat environment that is sure to make for a great night out. To make a reservation call 604-689-4272. The Fish House offers a three course lunch menu for $28 and a three course dinner menu for $38. The Fish House is set in a charming historic building that is perfect for a special lunch or dinner. Surrounded by the stunning gardens and forests of Stanley Park any meal you have here is guaranteed to be delightful. To make a reservation call 604-681-7275. This is a must try for any chicken lover! You can pick how spicy you want your chicken and what delicious sides you would like. For Dine Out, Nando’s offers a three course menu for $18 which includes a glass of wine. To make a reservation call 604-678-1217. Please join us on December 8th from10am to12pm for a holiday breakfast for the tenants of Regency Park. This is a great opportunity to get to know your neighbours and the staff at Regency Park. The breakfast is free but we ask that you make a non-perishable food donation to the Greater Vancouver Food Bank Society. We will have boxes on hand to collect non-perishable food items. On December 2 at 1pm join Santa, marching bands and festive floats for the ninth Annual Rogers Santa Claus Parade. Parade spectators are encouraged to come early to join in festivities at the Christmas Square. Bask in the beauty of over 2 million Christmas lights. Enjoy a scenic train ride through Stanley Park while listening to holiday classics. Partial proceeds from this event go to the BC Professional Fire Fighters’ Burn Fund. For more information on Bright Nights visit: http://vancouver.ca/parks-recreation-culture/bright-nights-train.aspx. 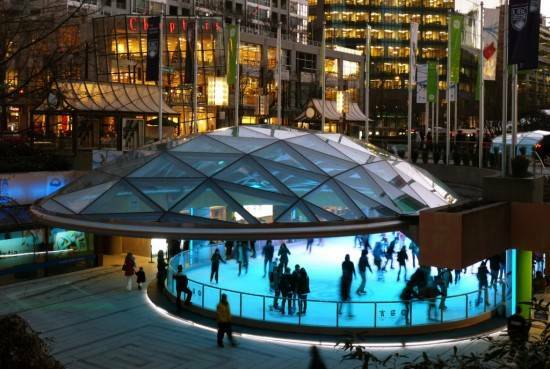 Starting December 1st there will be free ice skating at Robson Square. If you need to rent ice skates there are rentals available for $ 4 (cash only). Hours of operation are, Sunday – Thursday, 9am- 9pm and Friday- Saturday, 9am-11pm. Located in the Queen Elizabeth Theatre Plaza the Vancouver Christmas Market is a magical holiday experience. It’s hard not to get into the holiday spirit with little wooden huts decorated in pine branches and strings of little white lights surrounding you. This Christmas market is probably best known for their food vendors specializing in delicious German foods such as Bratwurst and Stollen. The Vancouver Christmas Market is also a wonderful place to find unique handcrafted gifts. Hopefully this list will serve as a helpful guide when deciding what to do around your neighbourhood this holiday season. The staff at Regency Park and Maple Leaf Property Management would like to wish you and your family a happy and safe holiday season! 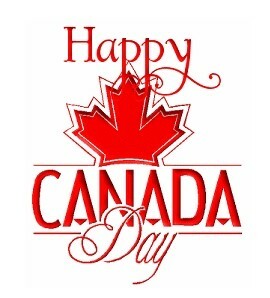 We hope everyone has a wonderful and safe Canada Day long weekend. Here are the top 10 Canada Day events in Vancouver according to vancitybuzz.com. 4. Canada Day Block Party: Celebrate the nation’s birthday with a block party East Van style. There will be plenty of food trucks on scene for this. The West End is one of the more diverse neighbourhoods in Vancouver and Car Free Day gets us all out on the street: young, old, families, couples, single folks. We all get together and celebrate our community and the things we love about it. And no cars makes it even funner! Did we mention all the music is acoustic? Oh ya!!!! Time: Festival runs from noon to 6 p.m. and the street is closed from 10 a.m. to 8 p.m. Please visit www.carfreevancouver.org for more information.